The fun is limitless when you stay at the Paradise Village Beach Resort & Spa in Nuevo Vallarta, Mexico, along the famous Baja California coastline. From dining to shopping, swimming to parasailing, you will have an endless array of choices waiting for you, making the comfortable, air-conditioned timeshares an even more precious retreat while you rest up for another day of fun. Location is everything with the Paradise Village Beach Resort & Spa. Just five miles north of the airport, it is easy to arrive and you will be in a prime spot directly on one of the most beautiful beaches in the area; and within a very short distance of casinos, the marina, boating, and world-class shopping centers. Dining is available on-site, with package deals available, making meals and drinks a breeze. Off-site you can pick your daily adventure, from horseback riding along the beach to zip lining through the trees. 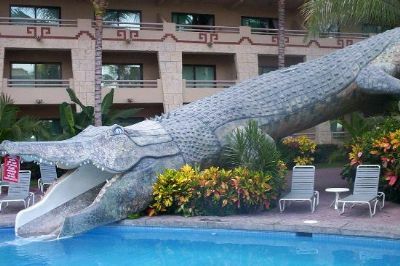 With these Nuevo Vallarta timeshares for sale, you will never have a dull moment unless you want one. The resort itself has many opportunities for guests to play and work out. Resort staff can help you coordinate your on-site sports programs at the volleyball, tennis, and racquetball courts if you and your fellow travelers wish to have a tournament. Bicycles, kayaks, and a workout room are available as well. Daily activities are open to all ages, and can accommodate both young and old. 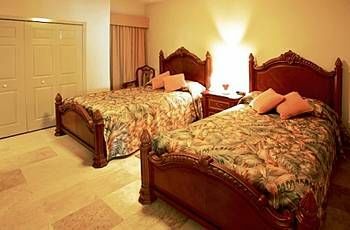 When you choose vacation ownership with these Nuevo Vallarta timeshares for sale, you can use one of the studio, one, two or three bedroom units, depending on how much space you want and need. Studios and one-bedroom suites are ideal for couples seeking that romantic getaway, while larger rooms sleep up to eight including children. All suites feature a full kitchen, bathrooms, AC, and TV with views of the marina, beach or pool. 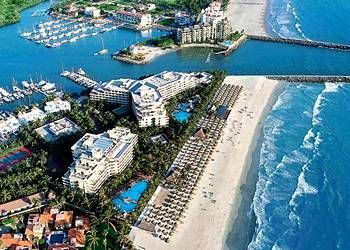 With a timeshare at the Paradise Village Beach Resort & Spa, you can experience the very best of Nuevo Vallarta. With so much to explore, you won’t want to waste a minute from the time you arrive until the minute you leave. 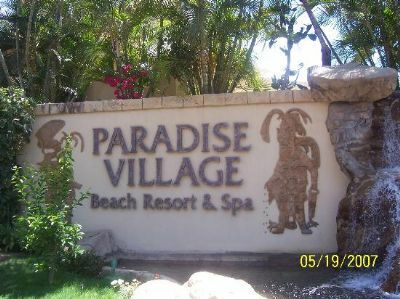 Contact Paradise Village Beach Resort & Spa Specialist Today! We could not get enough of this resort. We would go twice a year and never exchange elsewhere. The beauty of it, the maintenance, food and activities are well planned and very good. You can sit by the pool or lay on the beach and just relax. Friendly and accommodating. Do what you want and how much you want to do is up to you. Everything is offered. A great place to go. My timeshare with 6240 points is presently worth $39.950 .00 , if you want to buy it today at the resort.